Business Review | Dan Stefan (Autonom Rent-a-Car): Our solution to disruption is to stay agile as we grow. Details HERE. ZF.ro | Transactions in the lease market: The financial group Banca Transilvania sells its operating lease division to the rent-a-car company Autonom. Wall Street.ro | What plans does Autonom have following the purchase of BT Operational Leasing. Dan Stefan, at Inspiration in Business. HotNews.ro | Autonom is included in the “Entrepreneurial Museum”. WorldBlu | Freedom at Work. Autonom is made a part of the World Blu community. Wall Street.ro | Autonom: Under 1% of the RCA faulted know they can receive a replacement car during the repairs. ZF.ro | The Brothers Stefan from Neamt have reached 22 mil. Euros in business from car rentals in two countries. The business in Hungary, plus 25%. ZF.ro | How do we value a second chance in entrepreneurship – interview with Dan Stefan. Blog Autonom | For the fourth year in a row we are on the Car Rental Company of the Year podium in the Romanian TopHotel Awards Gala. DIGI 24 | The Autonom story at Romania Fast Forward – how we started our business and how we grew along the years. DIGI 24 | Autonom, among the 15 companies awarded in the “Made in Romania” final. Le Petit Journal | About success and the organizational culture – interview with Dan Stefan. Business Review | Autonom receives the Business Review award during the Business Award gala. Blog Autonom | We are honored to receive, for the third year in a row, the Best Employer award. JurnaluldeAfaceri.ro | The Autonom story from start to present. CariereOnline.ro | Interview with Dan Stefan in Cariere magazine about values and their role in the company’s success. Wall Street.ro | Marius Stefan, CEO Autonom, appointed “Entrepreneur of the Year” 2015 during the Wall-Street Awards Gala. ZF.ro | About Autonom’s growth in the B2B segment. Wall-Street.ro | Dan Stefan, speaks at the conference “Entrepreneur looking for financing”. EcoProfit.ro | About the eco world and sustainability, interview with Dan Stefan. Wall-Street.ro | About the Autonom business and more – mobile interview with Marius Stefan. Manager.ro | About the man and entrepreneur Marius Stefan. Digi24 | Autonom Rent a Car, from idea to success. Blog Autonom | Autonom Rent a Car obtains second place in the Best Employers 2014 awards gala. Blog Autonom | Marius Stefan, general manager Autonom Rent a Car, reaches the finals of the Entrepreneur of the Year competition. Forbes | We are awarded a special courage award during the Forbes 500 Business Awards Gala. ZF.ro | The recipe of Romanian entrepreneurs that won against multinationals. ZF Live | Autonom Rent a Car, a business of millions, on ZF Live. Business Magazine | Dan Stefan, manager of Autonom Rent a Car, is included in the Top 100 Young Managers, realized by Business Magazine. Blog Autonom | Autonom Rent a Car is awarded the title of Car Rental Company of the Year during the Hotel Tourism and Leisure Investment conference. Forbes | Dan Stefan, founder and executive manager of Autonom Rent a Car presents our entrepreneurial story as a guest for the “First Million” event, hosted by Forbes. Blog Autonom | We are awarded, along other nine entrepreneurs in the Moldavia region, during the “Champions in Business” event for results obtained in 2011. U 2018.godini Autonom se pridružio međunarodnoj zajednici kompanija, prepoznatoj od strane WorldBlu-a za promociju slobode I demokratije na radnom mestu. Program "Šampioni u poslu" podržava preduzetničke performanse, otkriva i promoviše uspešne preduzetnike koji su izgradili uspešne i dinamične kompanije u Rumuniji. Vec četvrtu godinu za redom Autonom je na podijumu gala događaja “Top Hotel Awards”, na takmičenju za Rent-a-Car kompaniju godine. Od ove četiri godine čak dva puta smo osvojili smo prvo mesto. Dobili smo titulu “Excellence in Business” u okviru gala događaja “Business Review Awards”, koja prepoznaje I nagrađuje dostignuća lokalne poslovne zajednice. Autonom je nagrađen sa “Made in Romania” nagradom, ušavši tako u ligu jedinstvenih 15 kompanija koje podstiču rast rumunske ekonomije. Autonom Rent a Car, osnovan 2006.godine u Piatra Neamcu, je najveća kompanija mobilnosti u Rumuniji. Mi našim klijentima pružamo različita rešenja transporta I iznajmljivanja u preko 40 agencija u 35 gradova u Rumuniji, Mađarskoj I Srbiji. Mobilnost je obezbeđena našom flotom koji broji više od 4.000 novih automobila, pogodnih za poslovna I privatna putovanja. Autonom je porodična kompanija koja razmišlja na duge staze. Naš uspeh je baziran na zadovoljstvu klijenata I usavršavanju zaposlenih. Poslovni rast, profitabilnost I finansijska stabilnost su prirodne posledice. Vizija autonoma je da bude jedan autentični model poslovanja. 1. Sistem menadžmenta se zasniva na našim vrednostima I autonomiji. 2. Autonom je organizacija koja uči. Ohrabrujemo lični razvoj naših zaposlenih I podržavaamo konstantnu transformaciju kompanije. 3. Imamo pozitivan uticaj na društvo I životnu sredinu. Poštenje I integritet su fundamentalne za razvoj naše kompanije. Radimo šta je neophodno da pomognemo našim klijentima. Mi smo tim. Poštovanje, lepi maniri I prijateljski osmeh su naše tajne. Prilagodljivi smo I fleksibilni. Jednostavnost je naš način. Autonom je porodična kompanija koja razmišlja na duge staze. Naš uspeh je baziran na zadovoljstvu klijenata I usavršavanju zaposlenih. Poslovni rast, profitabilnost I finansijska stabilnost su prirodne posledice. Sistem menadžmenta se zasniva na našim vrednostima I autonomiji. Autonom je organizacija koja uči. Ohrabrujemo lični razvoj naših zaposlenih I podržavaamo konstantnu transformaciju kompanije. Imamo pozitivan uticaj na društvo I životnu sredinu. June 2018: The Autonom fleet reaches 5000 automobiles. May 2018: Autonom signs an accord with Banca Transilvania to take over BT Operational Leasing. April 2018: For the fourth year in a row, we are chosen Best Employer by Aon Romania. In the same month we join the international World Blu network because we support democracy at the work place. March 2018: We expand to reach a third country – Serbia. We open a new office in Belgrade. 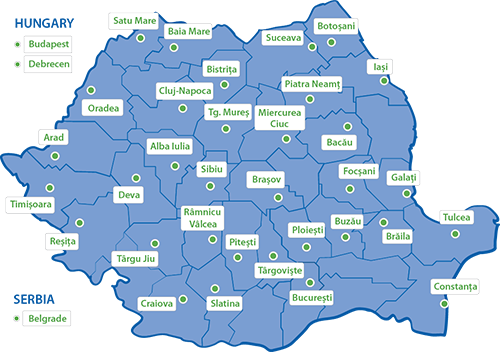 We also open a new agency in Romania – in Miercurea Ciuc, thus totaling 48 agencies in 35 cities. June – December 2017We open 4 new locations: Bistrita, Buzau, Targu Jiu, Ramnicu Valcea and we reopen the Focsani agency. June 2017:The Autonom fleet reaches 3500 owned cars. Ianuary 2017:We launch a new service for the companies in Romania: long term equipment rentals. November 2016:We are honored to receive the Best Employer award for the third year in a row.Details HERE. August 2016:We open our second office in Hungary, more precisely in the Debrecen airport. December 2015: Autonom receives the Best Employer title for the second year in a row following a study made by Aon Romania Details HERE. November 2015:Autonom purchases Vehicle Management Systems (VMS). Details HERE. October 2015We expand to the north of Romania with two new agencies in Satu Mare and Baia Mare. November 2014:Autonom is on the Best Employer podium in 2014 Details HERE. October 2014:We branch out into a new market segment and start offering premium chauffeur rental services. September 2014:We reach out across borders and open an agency in Hungary, in the capital city of Budapest. December 2013:We close the year 2013 with a fiscal value of 11 million euros, with a 30% growth from last year. Our company totals 1800 automobiles in 37 rental centers from 24 cities in Romania. April 2012:Autonom Fleet reaches 1000 new cars. April – November 2011:Autonom opens three new offices in Tulcea, Resita and Deva. January – May 2010:Four new agencies open in Oradea, Arad, Craiova and Pitesti. May – December 2009:Autonom keeps growing. We open three new offices in Botosani, Ploiesti and Roman. September 2008:We open our agency in Focsani. June 2008:Autonom’s fleet totals 500 new cars. December 2007:Autonom has its 10000th customer. January – November 2007:With the opening of new agencies in Brasov, Cluj, Sibiu, Targu Mures and Timisoara, Autonom now has 21 own centers and is the only Rent a Car agency in Romania with national coverage. June 2006:At our clients’ request, Autonom closes the first long term rental/operating lease contracts. May 2006:The Autonom fleet passes 100 new automobiles. January – June 2006:The first step of our national expansion is under way – we open in Bacau, Bucuresti, Iasi, Suceava, Constanta and Galati. December 2005:Our first year of activity has validated our business model and we decide to create a national rent a car network. January 2005:The pilot rent a car agency opens in Piatra Neamt with an initial fleet of 5 new cars. 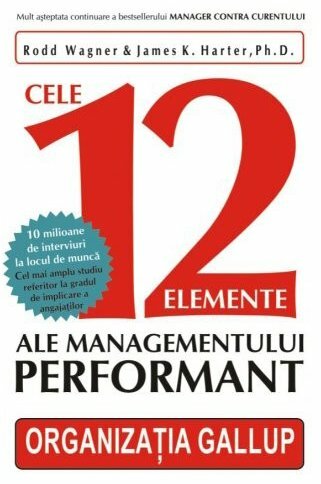 "12: The Elements of Great Managing"
"The Psychology Influence of Persuasion "
Najveća kompanja mobilnosti u Rumuniji, od sada i u Srbiji. Autonom je najsveobuhvatnija mreža mobilnosti u Rumuniji i svojim klijentima pruža različita rešenja za transport i najam vozila kroz 45 agencija u 35 gradova u Rumuniji, Mađarskoj i Srbiji.